Welcome to the website of two-time Shamus Award-nominated author Dana King. Kick the tires a little, read about his books, see where he’s appearing, and check out his blog. Vicki Leydig thought she was going to have a few drinks with her friend Mary and maybe get to spend a little time with Doug Stirnweiss at the Allegheny Casino. She didn’t expect Doug to offer her a ride home, and she sure didn’t expect to watch a stranger blow Doug’s head off in the parking lot. 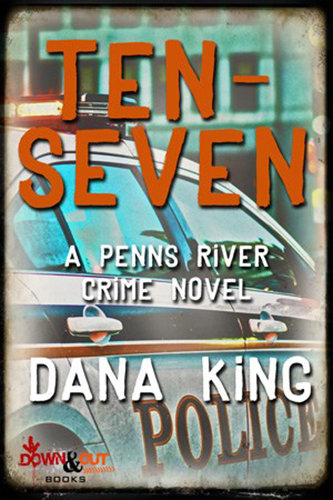 Penns River police don’t have much to go on until Detective Ben “Doc” Dougherty interviews casino employees and learns of drug deals going down in and around the property. Leads show promise and fall apart with depressing frequency until the local prosecutor turns a minor charge into a statement that leads Doc and the rest of the police force to a surprising conclusion, though not before tragedy strikes one of their own.